Connect to Philips Hue Entertainment, LIFX, and Nanoleaf Aurora & Canvas light panels and take command of your music & entertainment lighting needs. Customize one of over 50+ professionally-designed lighting effects using the app's 3 unique lighting controllers. Light DJ Pro has been used in lots of creative applications, including special effects for home DJs, house parties, stage & video productions, holiday decorations, mood lighting for bars & restaurants, haunted houses, or just to create the ultimate music listening experience in your living room. Light DJ Pro is the #1 app for configurable entertainment effects for smart lighting. MUSIC VISUALIZER: Create the ultimate music listening experience. The app listens to your music and changes the effects based on the mood of the song. Lights get active during intense parts of a song and flowy with softer melodies and magically change colors at just the right moment. Special controls for Nanoleaf allow you to control rotation and fill angle to match your Aurora or Canvas panel orientation. STROBE MAKER: Strobe your lights with different types of effects with the Matrix Strobe Maker. Interact with your lights using multitouch and 3D Touch (iPhone 6s and newer). BEAT-SYNCED EFFECTS: Use the SceneMaker Effects controller for looping effects that sync to the beat of your music. Each of the 20+ effects can be customized with your favorite colors. Just turn on your lights and let the SceneMaker run all night long. Control the speed of your lights with precision manual tempo controls or auto beat detection using your device's built-in microphone. HUE ENTERTAINMENT: Using a new Hue Entertainment area you'll enjoy higher quality effects; all of Light DJ's effects respond faster and with better sync. Send waves of color across your room with the updated Groove Wave effect, or strobe faster with the Matrix controller. EFFECT MAKER: Create your own looping special effects with our powerful Effects Maker. (Legacy Hue & LIFX only). 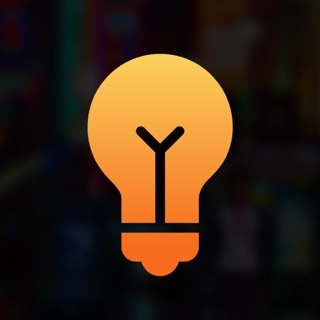 Share your custom-made effects and effect sheets with your friends using AirDrop. IPAD VERSION: The iPad app offers a DJ Controller-inspired design for ultimate live-performance lighting control. Configurable sheets allow you to setup your effects and colors in advance, and big push-buttons make rapid changes easy. MULTI-BRIDGE SUPPORT: Combine lights from two or more bridges using the legacy effects or control multiple simultaneous entertainment areas. ABLETON LINK & MIDI SUPPORT: Seamlessly sync tempo with other apps & devices using Ableton Link or MIDI Clock Sync. Control effects by sending Program Change codes over MIDI. Hi, I'm Kevin, the creator of Light DJ Pro. I want to make sure that everyone gets a great light show, so if you're having issues getting the app to connect shoot me an email at kevin@nrthrnlights.com. I'm dedicated to making a quality app to show off your new lights! Fixed issue when connecting to multiple Nanoleafs, and other minor bugs. For effects still my go to app. It really allows you to show off the Hue Lights to friends - set the effect and colors (strobe) and have it linked to the music in the house via the mic on the iphone or iPad and watch the lights change colors to the music - like a club. The interface is getting a bit better still pretty busy but once you get the hang of what you need - it is easy to use. Good job - fun app. The new entertainment group update is fantastic! I've been waiting to be able to sync my lights to my music forever, but it's been limited by the old slow API. Now it's almost perfect. Just need some sort of equalizer to squash frequencies to ignore to only listen to the low frequencies and it'll be perfect! Great work! Sorry for the delayed response. This has been fixed in a recent version.